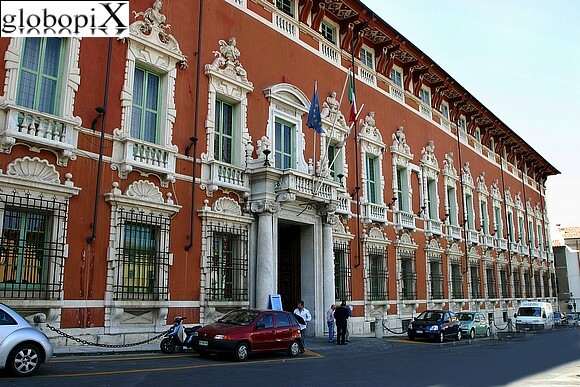 Visits to the historical centre usually begin in Piazza degli Aranci opposite Palazzo Cybo Malaspina (in the photo). The building is also called Palazzo Rosso or Palazzo Ducale. The building was constructed by Alberico I in the XVI century.